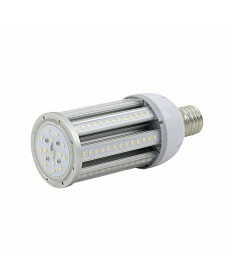 Replacing metal halide and high-pressure sodium lamps today is easy with LED corn bulbs. This is a great alternative to save energy and lower your electric bill. 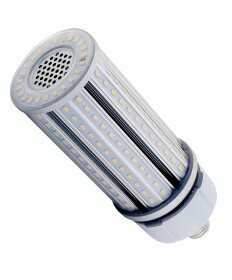 LED corn lights last longer than traditional HID lamps, saving you money on replacement. Available in many lumen outputs, LED retrofits produce the same amount of light as their HID light bulb equivalent. 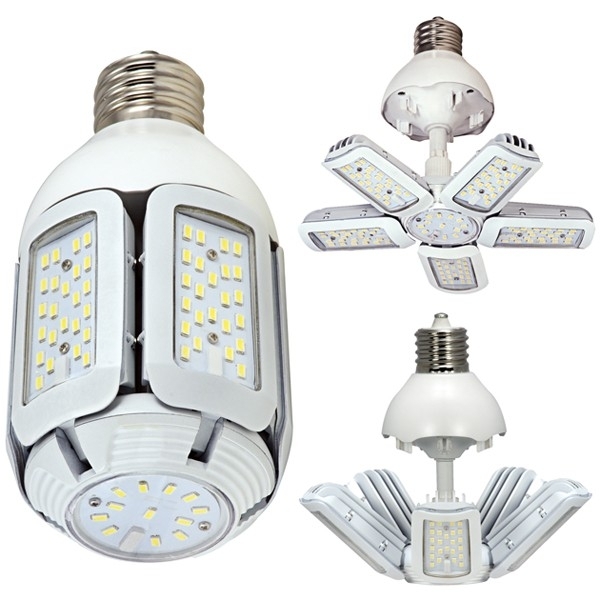 In addition to being energy efficient, LED corn cob lamps have a higher lumen threshold than standard metal halide lamps, ie MH bulbs lose their lumens / brightness faster. 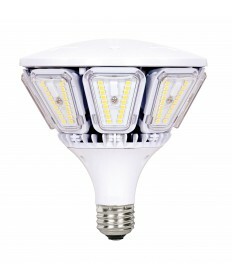 LED retrofits maintain a bright light throughout their lifespan. LED corn lights come in a range of color temperatures! From warm white light come close to the color of high-pressure sodium bulbs to the near daylight white light. Search our site, we carry a wide variety of beam angle options, brands, and base types. 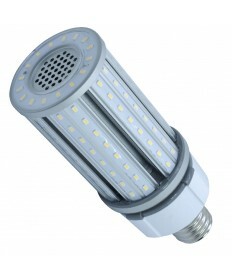 You can use LED corn bulbs in many applications, including enclosed pole top, shoe-boxes, and typical HID fixtures.